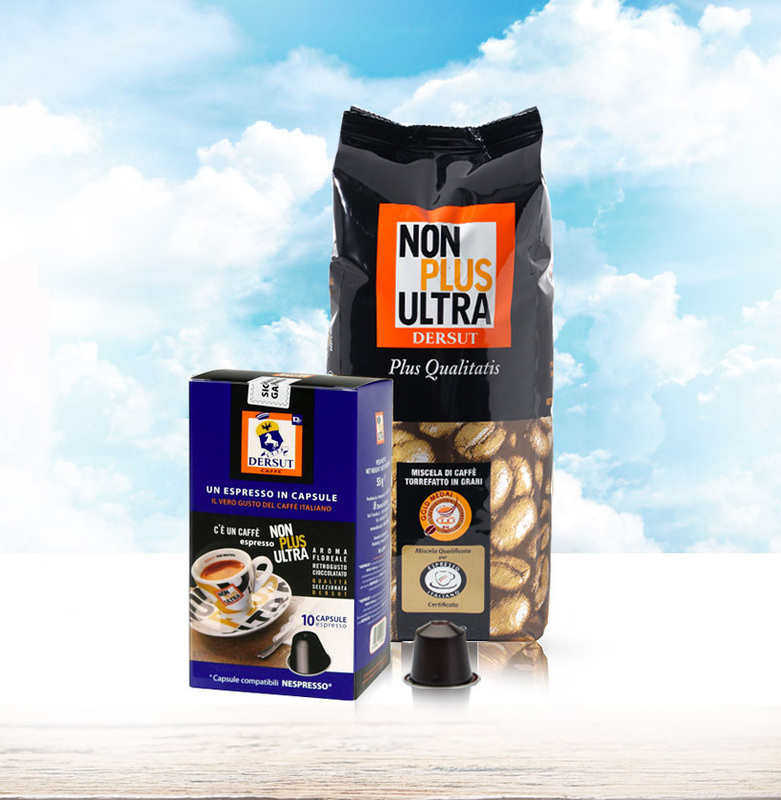 Non Plus Ultra is one of our most prized blends: 100% Arabica, floral aroma with a chocolaty aftertaste. A masterly alchemy, a blend of the most precious, select varietals of 100% natural washed Arabica coffee for full-bodied coffee with floral notes. Non Plus Ultra tempts you with its harmonious aromas that include floral and citrus fruit notes enriched by a chocolate and toasted bread after-taste. THE COFFEE NO ONE WILL HAVE TO GIVE UP. Made from the best coffee blends, Caffè Light Dersut is roasted and dewaxed to give it a more delicate taste and make it stomach friendly. In particularly sensitive people and heavy coffee drinkers, the waxes on the outer skin of the bean can create digestive problems. Dewaxing process: some of the caffeine is extracted by means of an exclusively organic solvent. The effects of the waxes and of some negative aromas are neutralised. 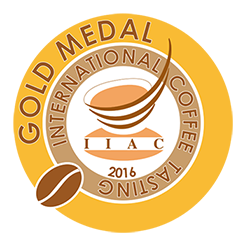 While preserving its sensory qualities and, above all, its aroma and essence, the coffee becomes easier to digest and more delicate. Caffè Light, a light-hearted way to enjoy your coffee every day. 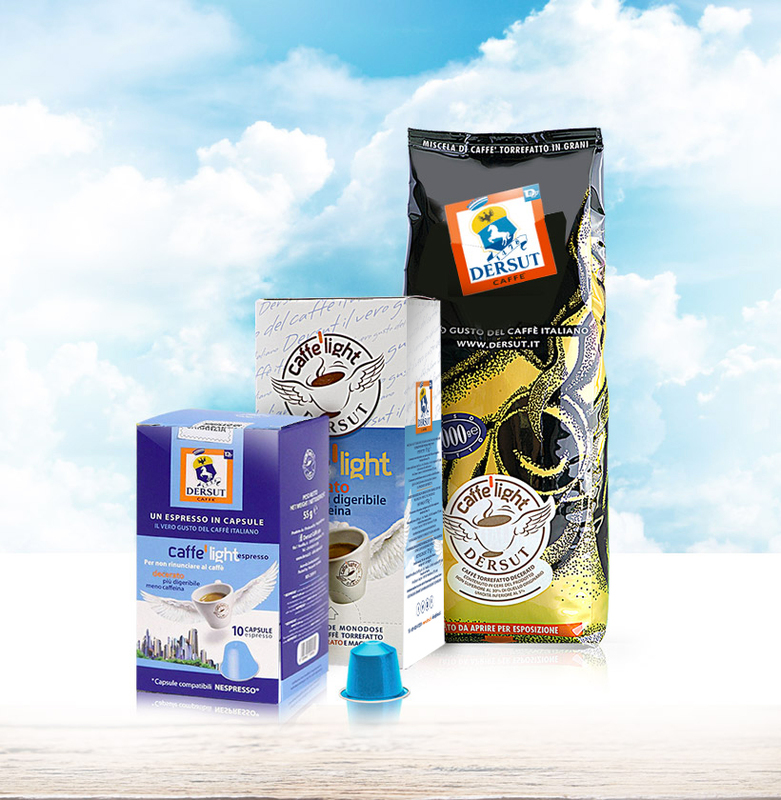 Caffè Light is a product created exclusively by Dersut – registered trademark. The wax content of this coffee does not exceed 30% of the original product. TODAY, THE COFFEE NO ONE WILL HAVE TO GIVE UP IS ALSO AVAILABLE DECAFFEINATED. Decaffeinating process: an organic food-grade solvent is used which behaves like a “technological adjuvant” whose sole function is to dissolve the caffeine and physically remove it from the coffee* without triggering any type of chemical reaction in the bean. 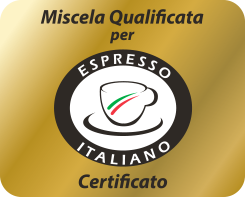 The result is a quality product which is easier to digest and has a more delicate taste, preserves its sensory qualities and, above all, retains all the aromatic, full-bodied deliciousness of non-decaffeinated coffee. 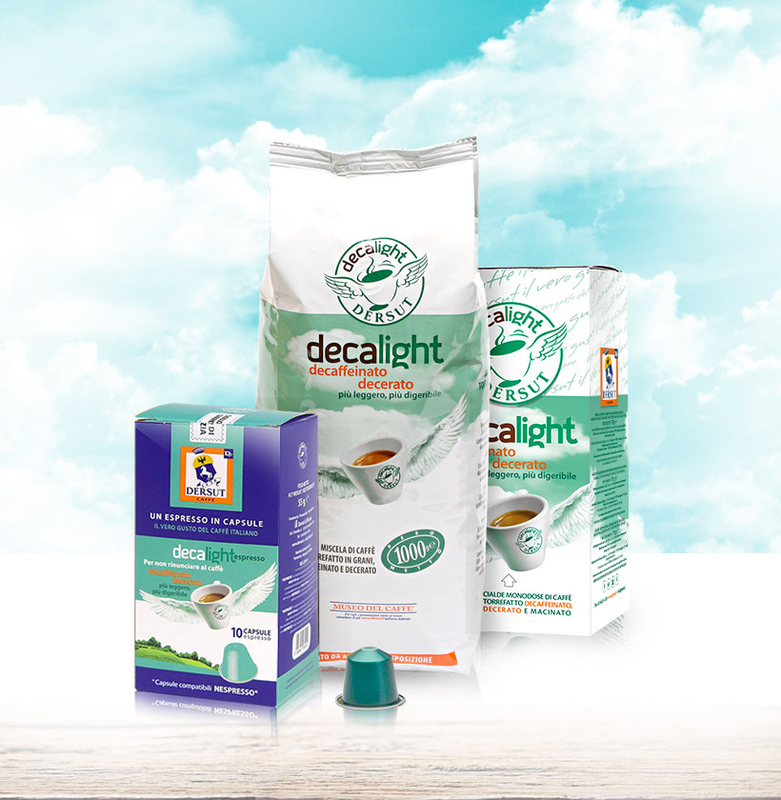 DecaLight: lighter, easier to digest and decaffeinated. Deca Light is a product created exclusively by Dersut – registered trademark. *Caffeine content does not exceed 0.1% (in compliance with Min. Decree 20-5-1976 and subsequent amendments). Wax content does not exceed 30% of the original product. Humidity content less than 5%.